Silent Night Comes Early for the Competition in Girls 13U Challenge Cup (F). 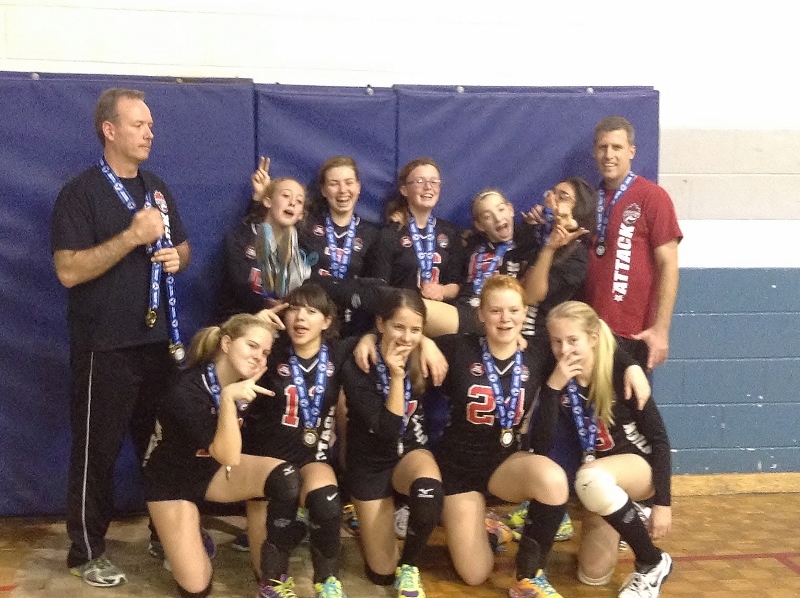 13U Girls Black Dynamite takes GOLD! Silent Night came early for the competition in the final tournament in 2014, Girls 13U Challenge Cup (F). The strong consistent play of the Dynamite brought home another GOLD medal for Durham Attack 13U Girls Black Dynamite and left them as the shining star. For the second match, in roared the Niagara Rapids Blue. In the first set, the Attack once again played a consistent game but the Rapids had a persistent undertow which kept them in the set. Dynamite persisted and learned to ride the waves. In the second set they calmed the waters and were in complete control with solid passing and serving — the rapids were turned into a meandering river. The tournament proved to be very exciting. I have no doubt Santa had many last minute changes to wish lists and the elves will be building more heart and blood pressure monitors (and perhaps a run on Depends). What a way to end tournament play for the year!! 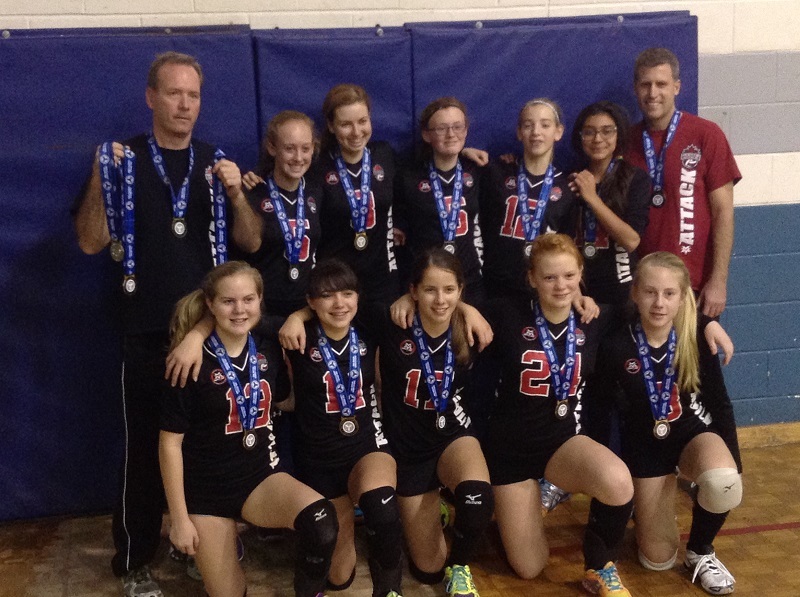 Dynamite has played in three tournaments and has earned its place at the top taking two gold medals. This team is 24 carat!! and worth more than its weight in gold (for you investors that’s an easy $22M+). While the New Year will bring many new challenges, 2014 has had many exciting highlights to look back on and a lot to be proud of. This is truly a team effort that goes beyond the athletes but also to the vast supporting cast. We have a lot to be proud of.